Wet weather can put, quite literally, a damper on outdoor adventures. Being prepared is key and having the right gear essential. 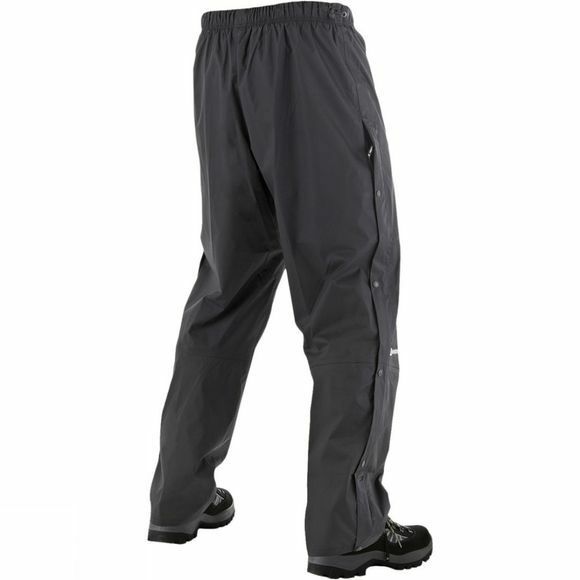 The Deluge Overtrousers from Berghaus are an essential piece of kit that keep you dry in wet weather conditions. Designed to be both waterproof and breathable, the Deluge Overtrousers also feature 3/4 length side zips to give you additional ventilation when needed. This gives you great upper leg ventilation offering you more comfort on those longer hikes. The elasticated waist gives a flexible fit with side waist adjustment, another contribution to your comfort. DWR treatment ensures saturation of the fabric will be a long time coming giving you longer lasting protection before re-treatment. 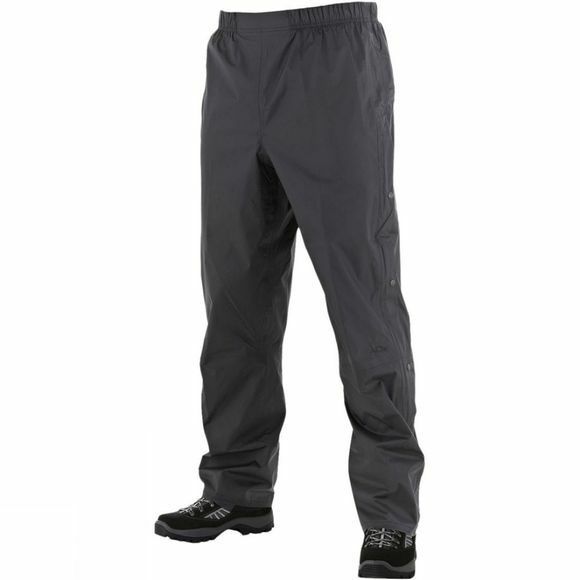 Ideal for day hikes and longer expeditions, the Deluge trousers are even ideal for walking the dog.